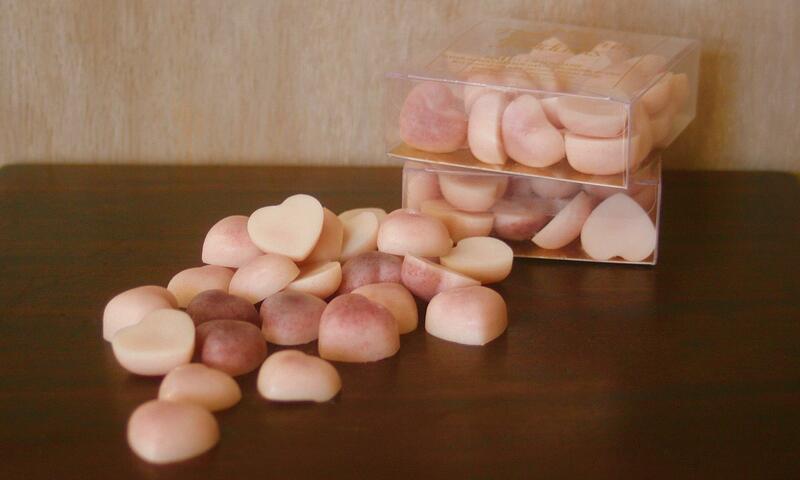 Wax heart "Mes Petits coeurs fondants". Amber sandal. french perfume, area of Grasse.